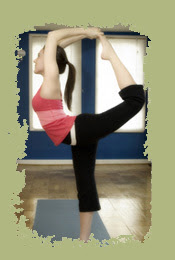 Rosemary Court Yoga is offering a charity Mom & Baby Yoga class on Tuesday, July 7 from 10-11am. Donations will be accepted & donated to Florida Friends of Midwives. 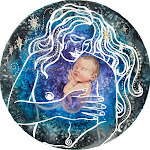 Mom & Baby Yoga class instructor Kassandra Devlin is offering an energizing and rejuvenating class focusing on mothers' postpartum needs: regaining alignment, toning the pelvic floor, and building core strength. Babies are welcome and can be incorporated in the yoga poses or can nap/play on a mat. Recommended age is pre-crawling. Please pass this along to your friends and come out and support yourself, support your baby, and support midwifery in Sarasota! I not only have an amazing story of the beauty of birth, but a testimony of the Grace of God, and the strength and power of a woman’s ability to give birth…despite what seems impossible. Before we were married, we knew we wanted to start a family. 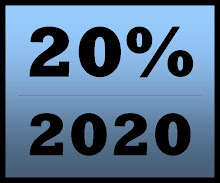 Among the discussions of birth control, money management, faith, child-rearing and discipline, plans for education, etc…it was decided that--as long as I had healthy, low-risk pregnancies--I would have our children naturally, with a midwife, in a birthing center. After nearly two years of marriage, "not trying, but not preventing," and ultimately trusting the Lord for his perfect timing in beginning our family, I finally found out I was expecting. We were elated! We contacted and toured our local birthing center at the beginning of December (2006), and then told our families on Christmas Eve. It was the best Christmas present ever! 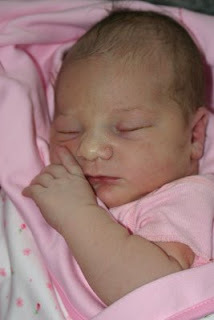 I had a beautiful easy pregnancy--one that my midwife (Harmony) referred to as 'the epitome of the perfect pregnancy'. In March (around 19 weeks), we found out that our little bundle--or “Precious” as she had been nicknamed by my mom--was a girl! Around the same time, we decided to move from the very small home we had been renting into my mom’s empty (and spacious) home. Up to this point, there was no question whether we could have a homebirth or not…there was just no room! But now the opportunity, and space, was available…and in my childhood home, no less! I was definitely looking forward to the arrival of our little girl. My mom and sisters had come down on August 2nd, and now we were just waiting patiently. Marmee (my mom) and my sister Heather were to be my doulas. Friday, August 10th: The day started not much different than any other. I woke up feeling huge, but ultimately great! In an attempt to lessen the misery of the Florida summer heat, we decided to go out to the beach and pool for the day. It was great having my family around, to keep me busy and distract me through the monotony of the wait! After a full day of swimming and fun in the sun, coupled with eating a very ripe pineapple and a good bouncing on my birth ball, we went home to get ready to go out to dinner for a friend’s birthday (Mexican…yes! Bring on that spicy food!). While I was getting ready, I began noticing some light cramping, but since they weren’t strong and steady enough to merit being the 'real thing' (and so as to not get my hopes up), I just wrote it off as having overdone it during our busy day, and attempted to ignore them. Throughout the night my 'cramping' slowly became more frequent and striking, occasionally even taking my breath away. We got home around 10:15pm, and I decided to do a little more bouncing on my birth ball. By 10:40pm, Marmee saw the contractions had not died down any, and suggested we start timing them. Sure enough, they were coming pretty consistently, 10-15 minutes apart and lasting for about 20-30 seconds a piece. My husband Bill went to bed to get some sleep while Marmee, Heather and I snuggled in with my body pillow on the couch, to watch some TV (Dinner Impossible and Good Eats on the FOOD Network), and time and record each contraction. Finally at 2:00am, seeing as things were still slowly progressing, we woke Bill up to get the pool inflated (just in case!) and called Harmony, to let her know what was going on. By this time, contractions were coming about 5-10 minutes apart, and lasting about a minute. After touching base with Harmony, we settled in to watch 'Father of the Bride: Part 2,' all the while, still monitoring the length and timing of the contractions. After the movie was over, we called Harmony once more. The contractions were progressively getting stronger and closer together, but I could still talk through them, so she advised us to try to get some sleep. I tried to lie down for awhile, but found myself getting up periodically, to pace the floor. Finally, at about 6:15am, I could not rest anymore. I went in and woke Marmee, who in turn, eventually woke Heather and Bill. Then about 7:30am, we called Harmony. By this time, I could no longer talk through any contractions and she said from the sounds she heard me make, I could be having this baby by mid-morning! Harmony arrived at almost 8:00am, and when she checked me, discovered I was about 8cm dilated, and almost fully effaced. Harmony immediately called in Tami, her birth assistant--which she does not do unless she thinks birth is near. Tami got there around 9:00am, and I got into the pool at 10:02am. At 10:30am, I hit transition, and after that, everything for about the next 13 hours is pretty much a blur. I labored in and out of the tub throughout the afternoon. It felt awesome, but seemed to relax me a little too much, and we didn’t need anything to stall labor any more than it already was. I laughed, cried, prayed, moaned, relaxed, prayed, sang hymns, walked, prayed, rested (or tried to, between contractions--I was SO exhausted! ), breathed deeply, prayed…and vomited…a lot (back labor is NOT fun!) --but in the end, it was all SO worth it!! At about 5:00pm Harmony gave me the choice, and we decided it would be best to go ahead and break my water, to see if we couldn’t get things moving along a little quicker. At that point, I was almost completely dilated, but apparently the baby was in a posterior position (hence all the back labor). This put uneven pressure on my cervix, causing a cervical lip - which was stuck at 7-8 cm. At 5:30pm, Harmony gave me an IV for hydration, which helped a little with my energy levels. And shortly thereafter, I had dilated enough that I could begin pushing! And so it began. You name a position, we tried it. In the water while sitting…water while on hands and knees…bed using rebozo (midwife wearing! )…bed on hands and knees (hated that one! )…Standing…standing using rebozo…we tried them all. After each contraction Tami checked the baby’s heartbeat, and it stayed ever strong…never wavering. She was doing awesome…but I was exhausted! To complicate matters further, due to a childhood injury to my tailbone, which had healed improperly, the baby’s head was getting caught on my tailbone. Five hours later, Harmony said that the baby needed to be born very soon, or we may have to transfer to the hospital. Marmee and Heather had just attended a doula training seminar in Nashville, and learned some new positions to use for posterior presentation. Marmee suggested a position, and Harmony agreed to try it. We all moved to the kitchen where Marmee sat on the counter and I hung from her arms (facing out) with one leg up on the chair, to maximize gravity and use it in our favor. At this point the contractions were coming pretty constantly and I was so tired I could hardly keep my eyes open. Harmony had seen how supportive prayer was for our family, and she suggested that Marmee pray. During the next contraction, as Marmee prayed and I pushed, Harmony exclaimed it was working--the baby was moving down a little! However, she was still getting stuck on my tailbone. Harmony decided she would have to reach up and use her hands to guide the baby past the tailbone. Still it was going slow. The baby continued to respond perfectly, but Marmee was concerned. I was exerting so much energy, she didn’t know how much more I could take. With the next contraction, her mommy instincts kicked in, she swung me around to face her…and at 11:36 pm, Kara Elizabeth (Our precious promise of God!) finally made her way into the world--nuchal hand and all--right into her Daddy’s waiting arms! Weighing 8 lbs 7 oz and measuring 20.5 inches long…she was born beautiful and healthy--just 24 minutes before her Daddy’s 24th birthday! After a few puffs of oxygen for me, and an attempt at breastfeeding Karabeth, we moved everyone to the bedroom, to rest until the placenta was ready to be delivered. About an hour later, once the cord had finally stopped pulsing, Daddy cut the cord and was finally able to hold his new baby girl. It was a great night! So, although Karabeth’s birth was the hardest and most painful thing I have ever done, I wouldn’t trade a moment of it for the world! It was long, tiring, intense and trying. I was challenged to go beyond myself, to be more than I thought I could be. I was mentally and physically pushed beyond my limits. My faith was tested and tried, and by God’s grace, I totally came out on top. All that was needed was faith, prayer, patience and creativity! The role of the father in birth has changed dramatically in the last half-century. Fifty years ago, few fathers attended births; today, 98% of fathers living with their partners attend the birth of their children. Research from The Fatherhood Institute shows that the quality support provided by a father at the birth of his child is clearly beneficial. --Studies found that women whose husbands were present and supportive during labor were less distressed (Anderson, & Standley, 1976; Henneborn & Cogan, 1975). --Laboring women benefit when they feel ‘in control’ of the birth process, and a key component in this is experiencing support from their partner during the birth (Gibbins & Thomson 2001). --Support during delivery provided by a ‘close support person’ (who can be, and often is, the baby’s father) creates a more positive childbirth experience for the mother, with a shorter duration of delivery and less pain experienced (Tarkka, 2000). --When labor partners (including fathers) know a lot about pain control, women have shorter labors and are less likely to have epidurals (Enkin et al 1995). 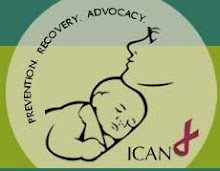 --This support has also been found to be conducive to a more positive attitude by the mother towards motherhood (Mercer et al, 1984). The important role of the father during birth is receiving national media attention, through the innovative new film The Other Side of the Glass. This movie explores the history of men's role in birth: "From boiling water, to waiting in smoke-filled waiting room only to see baby from 'the other side of the glass,' to now holding his partner's hand during surgery...Men are still disempowered and prevented from connecting with their newborn baby in those first minutes of life." Here in Sarasota, new fathers have several options to learn about the birth process and what they can expect throughout infancy, as well as to connect with other fathers in our community. The Nurturing Dads Initiative, sponsored by Children First, is for new dads, expectant dads, step-dads, granddads, married dads and single dads wishing to be the best dads they can be. To date over 1190 men from Sarasota, Charlotte and Manatee counties have graduated from the program. Boot Camp for New Dads, offered at Sarasota Memorial Hospital, is "a great opportunity for expectant dads to obtain the insights of veteran dads on the challenges of becoming a father." The workshop is taught by fathers and utilizes a man-to-man approach to fatherhood. This innovative, national program is being funded locally by the Community Foundation of Sarasota County. 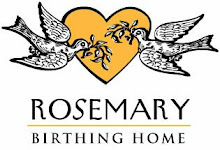 Finally, Rosemary Birthing Home and Birthways Family Birth Center offer free open houses and orientations, including classes on Choices in Childbirth. Please contact these centers for appointments. An article in today's Sun-Sentinel reveals that the most recent AHCA data (from July 2007 through June 2008) shows Florida ranking second in cesarean section rates, just behind New Jersey. Florida rates are now 39%, far exceeding the national average of 31.8%. 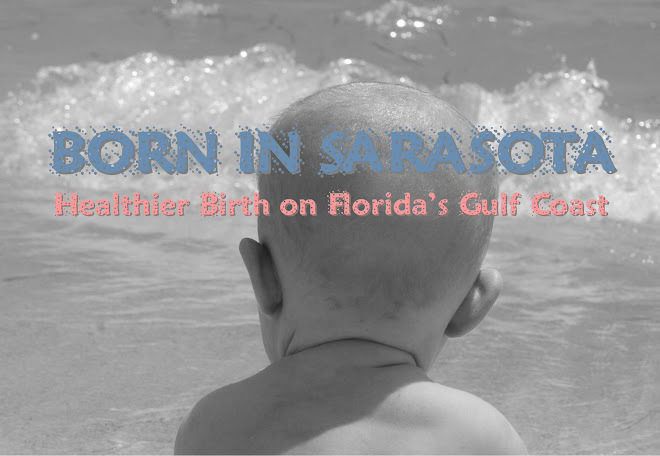 Using the researchers data from 2007, Sarasota County ranks 4th of all reporting counties in Florida, delivering over 41% of our babies surgically. The consumer data from the same year puts this number at an even higher 44%, almost tripling the World Health Organization recommended 15%. The Sun-Sentinel article, as do many other writings on the subject, cites "medical malpractice fears" as a big part of the problem. "Obstetricians and hospitals in litigious South Florida order C-sections for any irregularity before or during labor," doctors and researchers said. "Doctors contend they are under pressure to deliver surgically. If they don't and something goes wrong, they are sued." Yet based on my own research during the McGlades trial appeal, I have yet to discover a single medical malpractice suit awarded to a client of a Florida Licensed Midwife. 1 :: Low priority of enhancing women’s own abilities to give birth. 2 :: Side effects of common labor interventions. 3 :: Refusal to offer the informed choice of vaginal birth. 4 :: Casual attitudes about surgery and C-sections in particular. 5 :: Limited awareness of harms that are more likely with C-sections. 6 :: Providers’ fears of malpractice claims and lawsuits. 7 :: Incentives to practice in a manner that is efficient for providers. A patient has the right to refuse any treatment based on information required by this paragraph, except as otherwise provided by law."